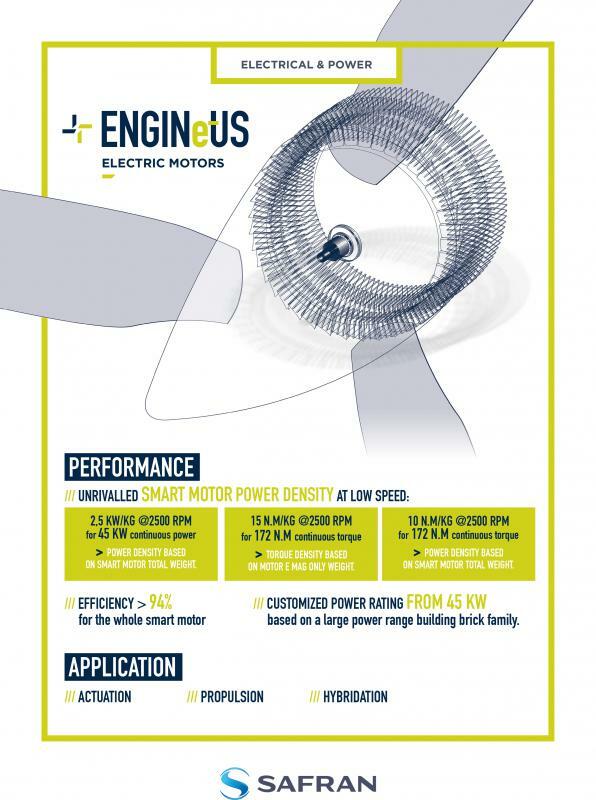 The new electric motor by Safran boasts an impressive 94% efficiency rating. It’s built to be a powerhouse for both fully electric and hybrid electric aircraft, especially focusing on VTOLs. The ENGINeUS 45 is the first in a new line of electric engines being developed by Safran. It’s able to continuously deliver 45kW of electricity, and future models will be able to deliver up to 500kW. 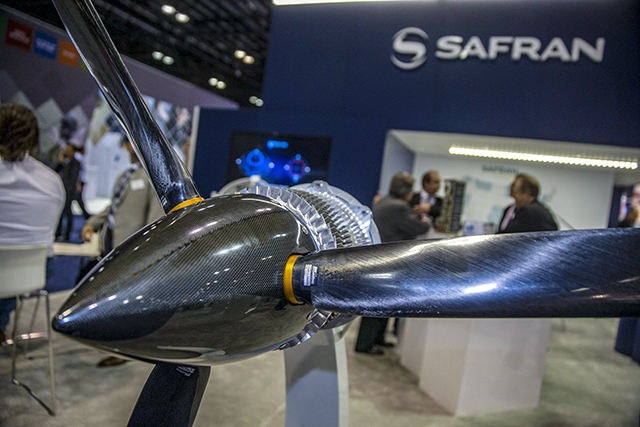 Safran unveiled the motor at the NBAA ( National Business Aviation Convention & Exhibition) in Miami, Florida on October 15th. Four of the engines have already been tested in a full distributed propulsion hybrid-electric system on the ground similar to what might be found in hybrid electric aircraft. The Safran line at the National Business Aviation Convention & Exhibition in Miami, Florida. Safran has already well established its presence in the world of electric aviation by partnering with Zunum Aero in early October. Safran will develop the hybrid-to-electric powertrain for Zunum’s hybrid electric commercial airplane design. It is yet unknown whether Safran will provide the electric motors for the ZA10 as well. While the powertrain generator for the ZA10 is a 1700 shaft horsepower engine that has been used in traditional helicopters, the development of the ENGINeUS line indicates Safran’s intention to continue shifting towards electric propulsion. Safran is one of the industry leaders for aviation engines, and its move toward electric propulsion may indicate an industry-wide trend. With big players like Safran beginning to provide electric solutions, there should be plenty of options in the near future for urban air mobility vehicle developers to find propulsion suppliers and more.